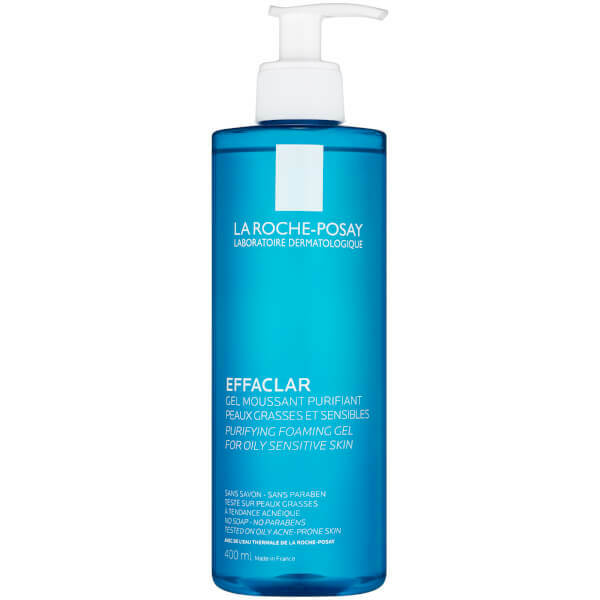 Meet the needs of oily skin with the La Roche-Posay Effaclar Cleansing Gel; a gentle yet effective formula that purifies the complexion and leaves skin fresh. The hardworking facial wash is suitable for all skin types, including sensitive and imperfection-prone skin. Transforming into a rich lather upon contact with water, the cleansing gel effortlessly massages onto skin, eliminating daily dirt, oil and impurities, without stripping the complexion of essential moisture. 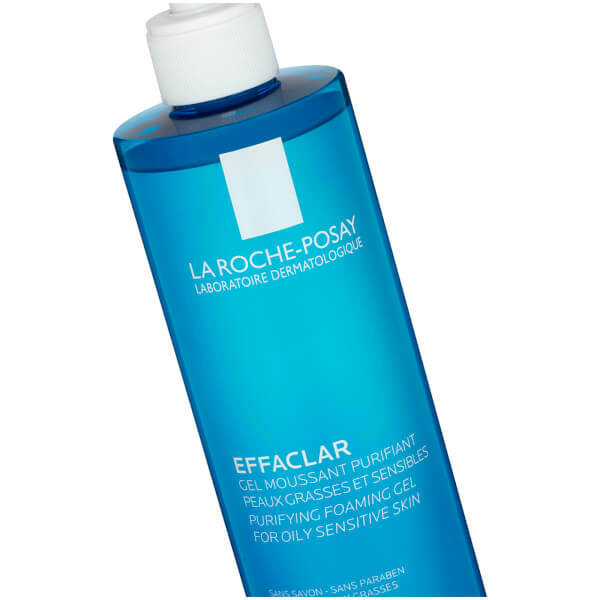 The non-comedogenic gel is complete with a soothing dose of the iconic La Roche-Posay Thermal Spring Water, which ensures skin is comfortable and free from irritation. Expect a refreshed, shine-free complexion that is clean, clear and visibly healthy. 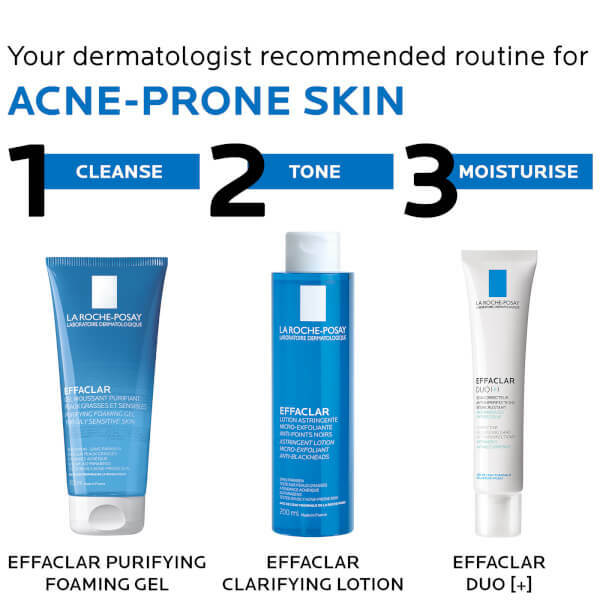 For best results use a part of a 3 Step Routine: Cleanse with Effaclar Purifying cleansing Gel, tone using the Effaclar Micro-Exfoliating Astringent Lotion and then moisturise the entire face using Effaclar DUO [+].